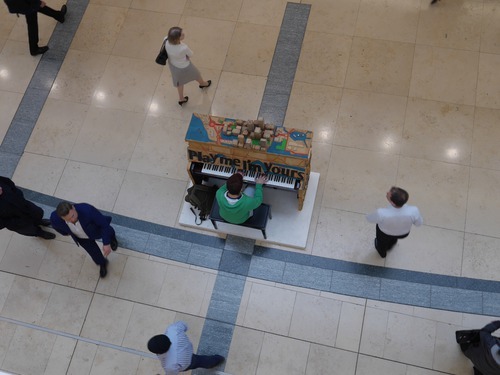 ‘The Gingerbread Piano’ created by Serena Montesissa. 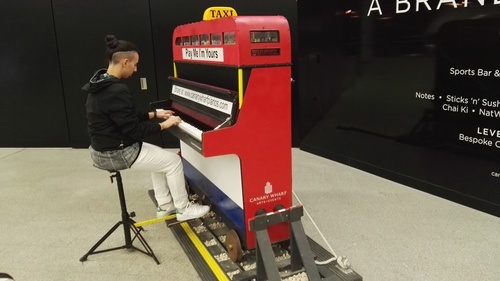 This piano has been donated to Oxford House in Bethnal Green. 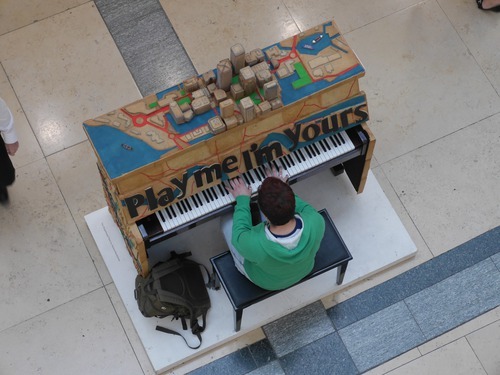 Improvising at one of the pianos in Canary Wharf, part of Play me, I'm yours. 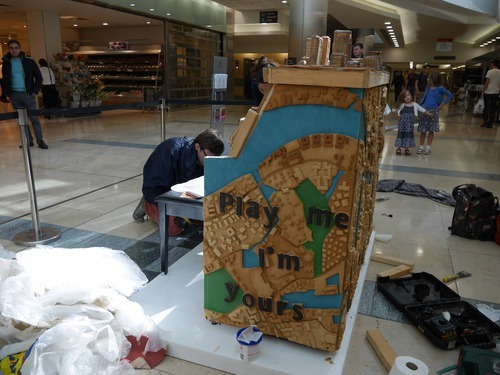 This piano, featuring a gingerbread map of the district in London, was located in Canada Place. 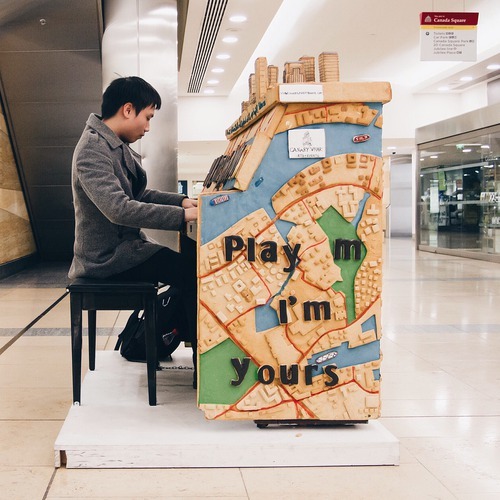 Well I've played a few streetpianos along the way, but this might be the most delicate and outstandingly gorgious artwork I've ever seen! Deep respect to the artist! 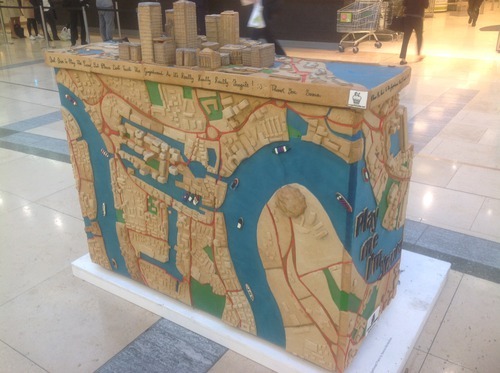 What a level of detail in the geographical map and the building structure, wow....! Great fun here at lunchtime! Lovely aerial view - great place to watch and take photos. 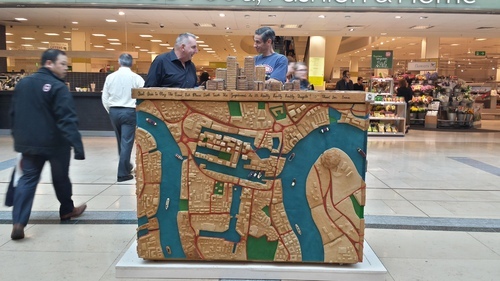 Lots to see and it's edible too.